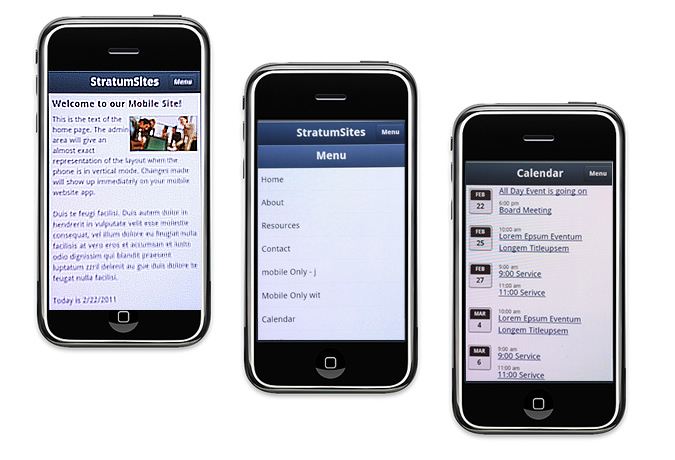 The StratumSites™ Mobile Website App makes it easy to make your website mobile ready. Manage your mobile content along side your regular website content. The mobile page content tools are integrated with our existing website page tools to make it easy to add and edit content as well as manage your mobile website's navigation. It includes the initial design of your mobile home page and other mobile pages and the creation of your organization's iPhone App to allow users to download the app from the App Store. Why Have a Mobile version of your website? One of the ongoing challenges for websites and the modern smart phone is that the phone is designed to be small. This makes viewing a regular website difficult with a smart phone. Users always have to resize pages to actually read anything, and then they have to scroll right and left and up and down. It's basically a pain for the user. The StratumSites' Mobile Website Application solves that issue by giving smart phone's a true mobile website application view. Smart Phone users automatically get the mobile version of the site simply by going to your domain. 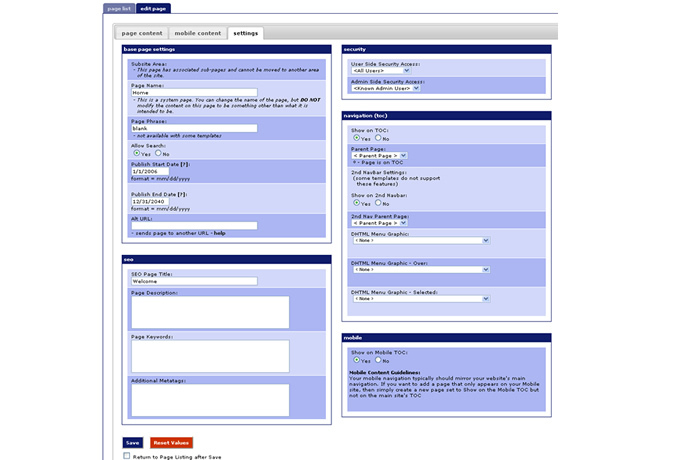 No different link to send them to, no other website to manage, it is all managed through the same administrative interface. 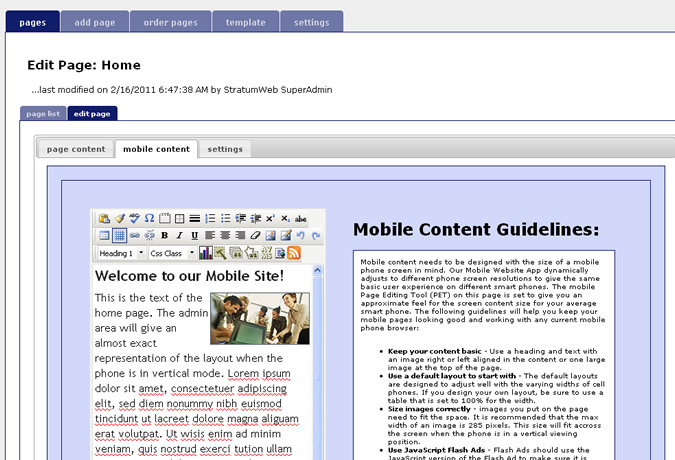 StratumSites makes managing your mobile website quick and easy!